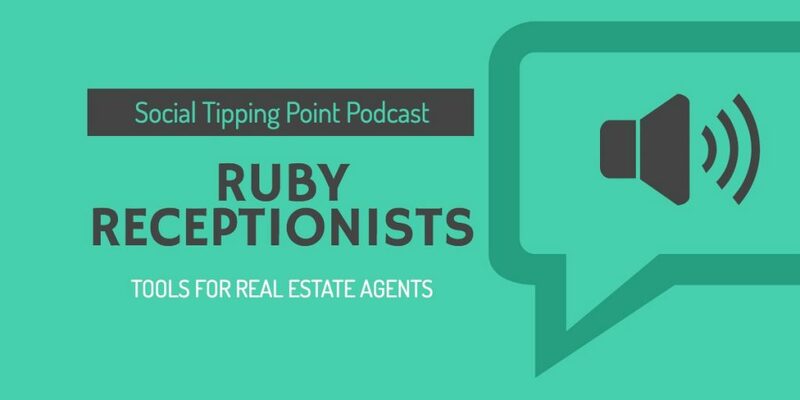 On today’s podcast we talk with Diana at Ruby Receptionists. 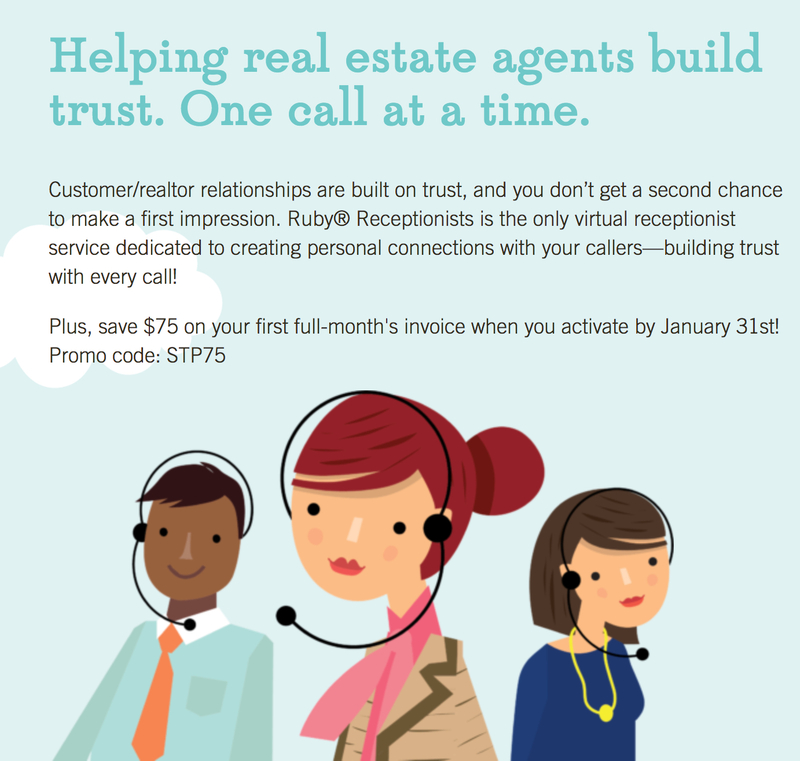 Ruby Receptionists provides live virtual answering services to businesses such as real estate agents. Discover what they do, how they help agents, and why your business can save time and money while increasing efficiency. As an added bonus, you can save $75 on your first month’s investment if you activate your new service by January 31st, 2018. Save $75 here.